Note: No trash is to be mixed in with concrete. 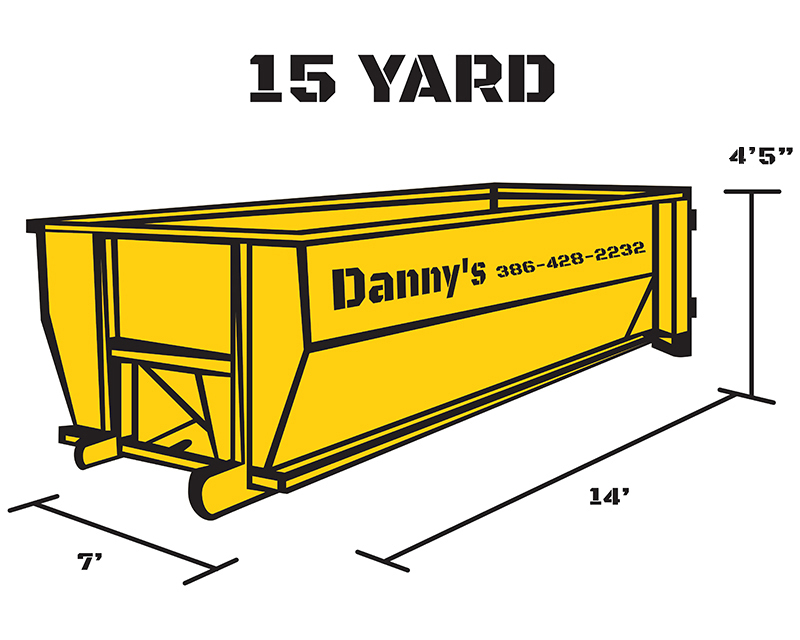 15 yd Perfect for larger roof tear-offs, larger kitchen remodels, multiple bathroom remodels, Multi-Stage home interior or exterior demolition / remodeling, large tree/ landscape removal. large porch removals, large dock removals (Poles / Boards), Large roof tear-offs (SHINGLES ONLY) NO CONCRETE, CLAY, ORPEA ROCK PERMITTED IN 15 yd container. 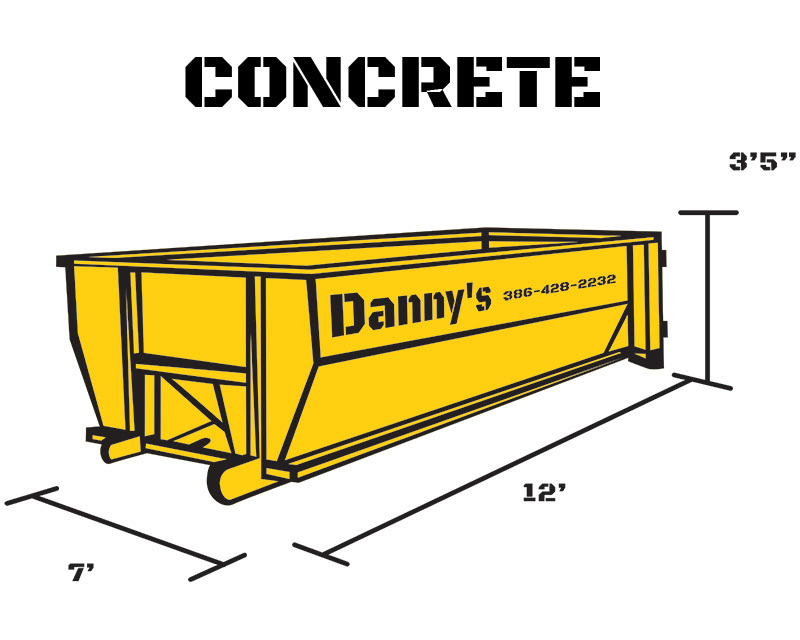 10 yd Concrete Dumpster Calculator Can hold approximately 400-500 square feet of 3-4-inch-thick concrete slabs. 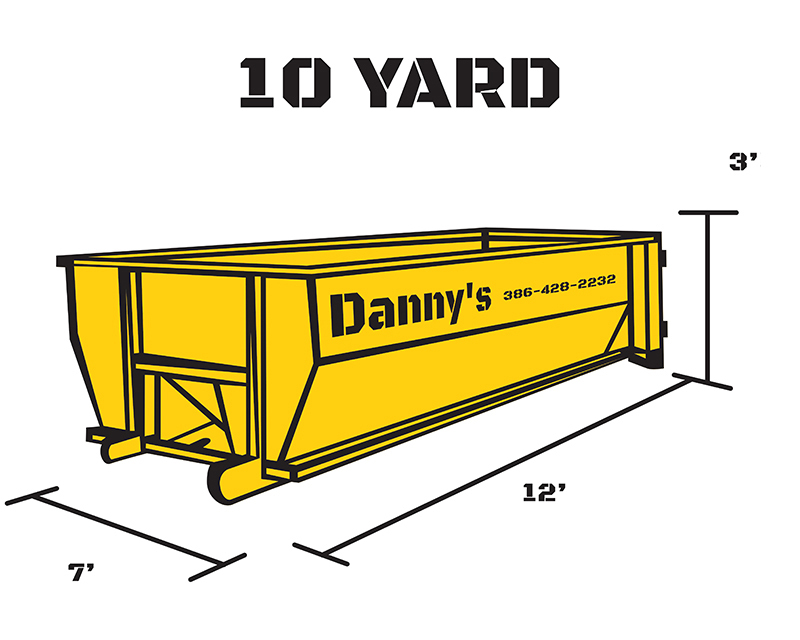 Perfect for small patio, porch, driveway, pool removal or remodels. **NOTE** Always factor in / estimate additional tear off debris (Plywood, rafters, trim, drip-edge, soffit/ fascia) under the roofing material that may need to be replaced.